Brian began his career with Xerox and subsequently worked in Senior Executive/VP roles at IBM, Crosfield Electronics, Madge Networks, Dell Computers and as Managing Director of T-Mobile (UK). He was Managing Director of Amazon.co.uk from January 2006 to September 2011, having led the company through its high growth period. He was appointed Chairman of ASOS PLC, the leading on-line fashion retailer, in October 2012. 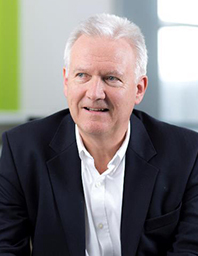 He is also a Non-Executive Director on the BBC's Executive Board, Senior Non-Executive Director at Computacenter PLC, Non-Executive Director of Monitise PLC, a company specialising in mobile payments infrastructure, and is Senior Adviser with Scottish Equity Partners. Brian is also a member of the Advisory Board of Huawei UK and of the Advisory Board of Numis PLC, the leading Investment bankers and stockbrokers. He is also a member of the UK Government’s Digital Advisory Board, established in April 2012 to help steer the digital delivery of Government services to citizens in the UK, and a member of the Court of the University of Glasgow. He has been a Non-Executive Director of Celtic Football Club PLC, SThree PLC, and the British Retail Consortium. Brian has an MA (Hons) in Economic History from the University of Glasgow.